There are eighteen methods of murder that defy detection. A scientific detective, identified with national and international law enforcement agencies, is authority for the statement that there are at least eighteen methods of murder that practically defy detection. Yet the record shows that there are very few murders committed in any one of the eighteen ways that go unpunished. In other words the old adage, "Murder Will Out," is true according to the record in about ninety percent of all felonious killings. To commit a murder in any one of the mentioned eighteen ways it would be necessary for the murderer to be a reasonably advanced scientist. Few possess the technical knowledge necessary to destroy their fellow beings by these methods. Nevertheless, all eighteen of the methods mentioned have been tried from time to time with varying success in escaping conviction. It would appear that persons of scientific attainment could be counted upon not to attempt murder. This is not true. Education is not a one-hundred percent deterrent to crime. Educated persons have only a slightly less average as potential murderers than the illiterate. Not even motives differ except in cases of murder for robbery. Considering robbery as greed this difference is removed. Jealousy figures as a motive in a large number of murders and among the educated murderers it is paramount. Considering murder — for that matter all forms of crime — as an art it would seem likely that the criminals of education or scientific attainment would excel as master craftsmen. This isn't true either. Just the opposite prevails. In practically all crimes attempted by scientists they bungle their jobs completely. The record proves positively that as criminals scientists are flunkies without a single recorded exception. Where a murder is committed by a method that destroys its own evidence or fails to leave what might be called a "trace" or clue detectives are hampered but not necessarily baffled. In these cases, almost without exception, it is circumstances that bring the criminal to punishment. While a jury might refuse to convict on circumstantial evidence a detective is not so deterred. The scientific detective turns science against the scientific murderer. He batters the suspect with circumstantial evidence until in nine out of ten cases the scientific suspect weakens and acknowledges his crime. Circumstantial evidence backed by a confession that checks on all angles is about all any jury needs to be convinced of guilt. When your correspondent began to dig into this subject of artistic or scientific murder Government detectives — themselves master scientists — made a request. They asked that we be ''a little vague" in the use of proper names and in description of the eighteen murder methods most difficult of detection. So, we will name no chemicals or poisons but confine ourselves to effects and processes. The commonest method is the complete destruction of the corpse — the corpus delicti. Cremation is the usual means resorted to. The body is burned in a furnace or on a pyre. Effort is sometimes made to make identification impossible by burning the body or parts of it in gasoline flames. The scientist has no edge on his uneducated fellow in this type of murder case. He practically never is able to remain with the burning corpse long enough to do a perfect job. In many cases complete dissolution of the corpse is attempted by immersion in acids. There are acids that completely dissolve bone tissue and even clothing but circumstances usually reveal these crimes. Accessibility to such chemicals and procurement of such chemicals usually lead to a search. The search usually leads to the finding of bone fragments, identifiable by means of buttons, bits of jewelry, metallic dentistry and other bits of evidence which escapes or lather resists the acid effects. And now we get into some deep scientific water. It is actually possible by the exact and accurate dosage of a certain poison, over a long period, to produce death "by typhoid fever." This poison, a common and easily available one shows up like an electric sign when not scientifically administered. But when given in frequent and exact small quantities it produces every symptom of typhoid. Quite often the corpse is buried as a typhoid victim. In most of these "typhoid" cases the motive is insurance and the murderer encouraged by success in one case attempts others. Sometimes there are a score of victims. In practically all cases the murderer is convicted in the long run. The circumstances that usually bring about detection are doctors and nurses and neighbors. They will remember that the murderer was always quite enthusiastic about insurance. A nurse will remember that the murderer insisted on preparing the victim's food. Sometimes a druggist will remember selling some poison to kill a dog or as an insecticide. There is, too, a gas that administered in exactly correct quantities will produce ''tuberculosis." This gas kills instantly unless scientifically administered. A small quantity will cause the lungs to "rot" gradually bringing death in from five to thirty days with all the symptoms of rapid or "galloping" consumption. Doctors have so diagnosed such cases but circumstances usually bring the crime to light. First among these is that the gas is rare, "ordinarily. It can be home-made but only by a chemist with a well-grounded knowledge. It would appear that, among poisons, the most powerful would be the hardest to detect. This because a small dose would leave less trace than a large one. It follows only in some cases. One very powerful poison absolutely defies detection. Another, and the most deadly poison known to man reveals itself instantly. This second poison perfumes the corpse and leaves it smelling with a fruity odor. Any doctor or chemist can identify it instantly regardless of how small the dose might have been. In the event of the first named powerful poison — the one that defies detection — there is no odor or other discernible indication of any nature. When scientifically administered the fatal dose is less than one billionth the weight of an ordinary human body. Thus, to trace it, the autopsy doctors would have to find, separate or segregate x billionth bit of the mass under observation. The body completely absorbs the fatal chemical and so — . This poison has its uses but is rare and impossible to obtain even by most chemists. There are few dispensing druggists who have scales sensitive enough to weigh the dosage of the chemical. Even for doctors to obtain it is an undertaking involving considerable red tape. But it has been used by murderers — scientific murderers. Circumstances in these cases have proven that the murderer possessed the drug and had a motive to use it. Confession has followed circumstantial evidence in some cases and in others conviction has been obtained on expert testimony backed by positive circumstantial conditions, such as the presence of the corpse and proof of the ante-mortem possession of the fatal drug by the suspected murderer. A fiction story of the football grid, some years ago, involved the use of a solution to produce a fatal gas under conditions of bodily heat produced by violent exercise. This was authentic so far as action and effects were concerned. In the football story the victim's sweater was soaked in a deadly solution. Under the heat of the exercise during the football game the victim's body generated the gas which he inhaled. The gas stimulated his heart action to the point where a blood vessel was ruptured causing death. The actual case from which this fiction story was borrowed involved a man, a wife, and the wife's clandestine violinist lover. The wife knitted the sweater for her admirer. Her husband dipped it in chemical solution and dried it while his wife was absent. When she returned she expressed the sweater to her admirer. He wore it under his shirt. His body heat produced the gas which was inhaled by the violinist in sufficient quantities to cause death. The hypodermic needle is a weapon of death which has caused autopsy physicians trouble since its invention. 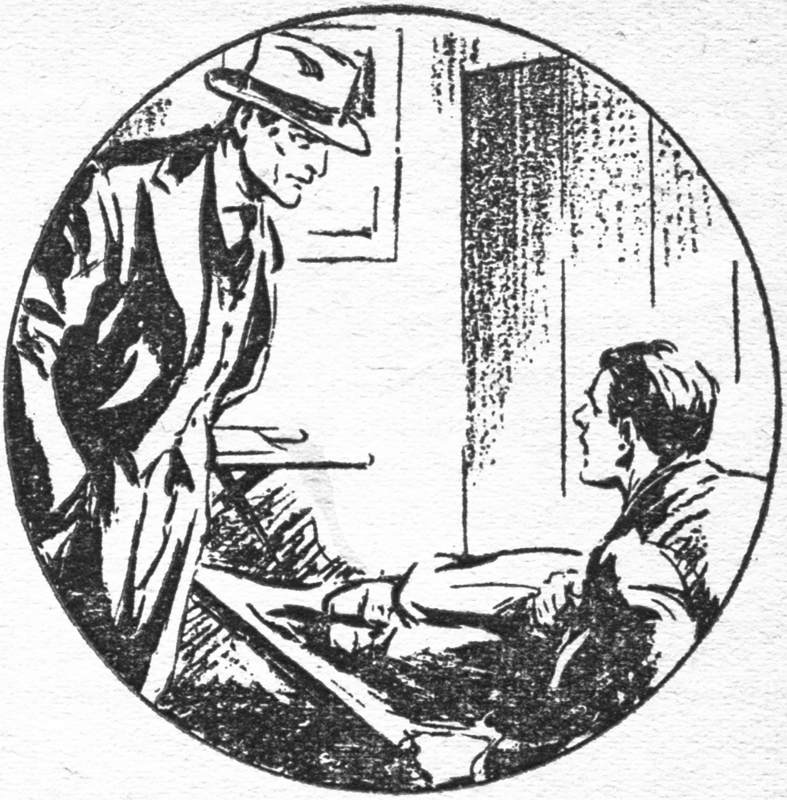 Murder by the hypodermic needle, no doubt, would escape detection often enough were it not for circumstances. Such circumstances of death are ever in the mind of autopsy doctors. Where evidence warrants it corpses are subjected to microscopic and meticulous search to locate a hypodermic puncture. And they can be located even when hidden back of an eyelid as was the in one instance that of an infant. The suspected murderer, in this case, a colored mother, died in an insane asylum. In cases such as have been described here readers might wonder why names, dates and places are not revealed. They might ask why scientific detectives desire the text to be vague. The reason is quite simple and understandable once it is explained. Even where conviction is obtained in such cases it is only after the most laborious and expensive processes and investigations. Living relatives of the accused in each case might be moved to bring suit on any of many grounds. This would result in more long, laborious and expensive litigation — to the Government, the writer, the publisher, doctors, detectives and what not? This thing has been going on for centuries. As far back as history records mysterious poisons have been a common means of murder. There are thousands of poisons. Some of these, products of the jungles held secret by savage tribes, are still little known to or understood by scientists. Poisons are given up by the earth, secreted by plants and, by animals. They are produced by combining chemicals and by chemical reactions. In nature they are begotten by elemental distillation, by the action of the sun's rays, by the excrement of animals including the fishes, by the promulgation of minute organisms, and in a myriad of mysterious ways. "Such research is valuable not only in the matter of law enforcement but might prove of inestimable value in other fields. It might lead to a discovery that would end cancer or one that would end war."